Astronomy Science ~ Astronomers have seen the storm on the surface of Uranus, but what caused this storm is still a mystery. This storm was first seen in August, but new images reveal that this storm is still going on. Hurricane activity in the cloud so bright, even amateur astronomers can see signs of the storm in the atmosphere of blue-green planet that is 30 times farther from the Earth-Sun distance. 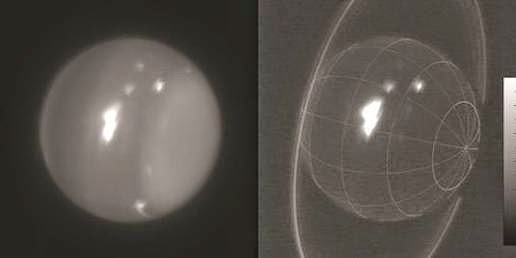 The astronomers observed Uranus with the Keck Telescope in Hawaii and detects eight major storms in the northern hemisphere on August 5 and 6. One of the storm became the brightest light ever measured in Uranus, 30% brighter than all the light reflected by Uranus at a wavelength of 2.2 microns. This light is likely to come from the clouds just below the tropopause, the lower limit of the stratosphere - where the pressure ranges from about 300 to 500 mbar, or half the pressure at the Earth's surface. When amateur astronomers heard about this activity, they are directing their telescopes on the planet and was amazed to see the bright spots on the surface of Uranus are usually boring. Fellow researcher Dr. Heidi Hammel, of the US Space Science Institute, said: "This kind of activity has been predicted in 2007, when Uranus experienced equinox which occurs every 42 years and the sun shines directly on the equator." But we predicted that the activity will subside now ". Uranus has a diameter four times the diameter of Earth and wrapped in an atmosphere containing hydrogen and helium, methane plus give it a blue color. 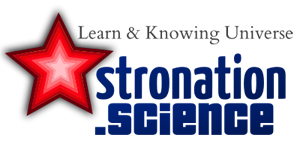 The findings were presented at a meeting of the American Astronomical Society's Division of Planetary Sciences in Tucson, Arizona.